Welcome to Americas Best Value Inn Petoskey. Overlooking the shores of Lake Michigan's Little Traverse Bay you'll find Petoskey Michigan, a quaint resort community. People return to soak in the rich views, breathe the clean air, eat at world-class restaurants and shop in the specialty shops and boutiques of its historic downtown. Our hotel located off of US Highway 131 1-4 mile from junction of US Highway 131 and US Hwy 31. We invite our guests to enjoy complimentary coffee in our lobby and free deluxe continental breakfast. Stay connected with free wireless Internet access in all guest rooms and public areas. 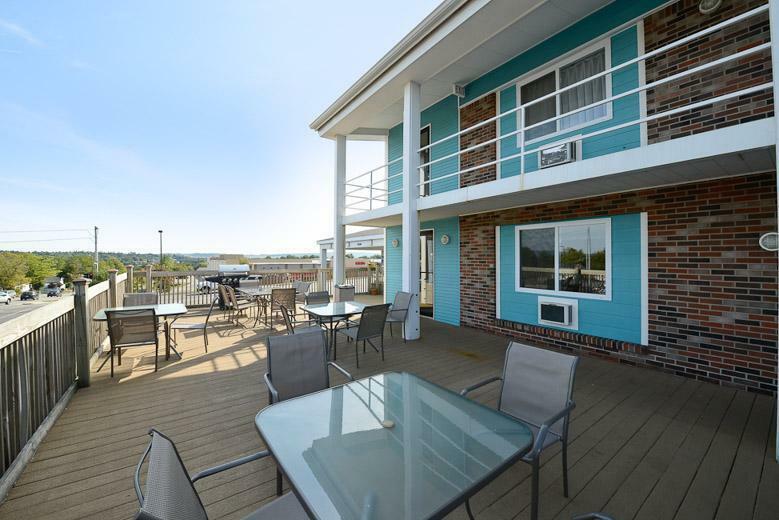 Step into the privacy and comfort of your own guest room featuring amenities including a microwave, mini-fridge, coffeemaker, hairdryer, 40-inch flat screen TV, cable TV with HBO, iron, ironing board, desk with lamp, in-room safe and wake-up service. Select rooms have a wet bar, hydrobath and jetted tub. Corporate travelers appreciate the convenience of our business center with computer, copy and fax services. Enjoy a great workout at our fitness center. 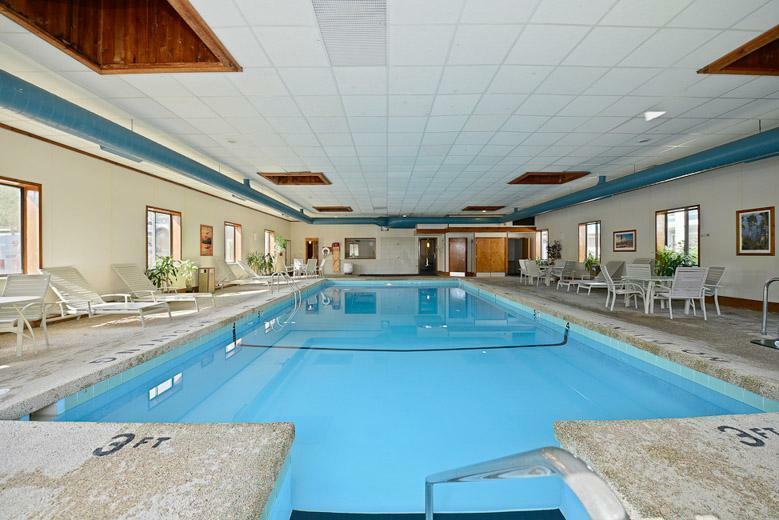 Relax from your day and take a dip into our heated indoor pool and hot tub. Petoskey is host to numerous annual festivals and events, including the Downtown Petoskey Winter Blues Festival, Art in the Park, Festival on the Bay and Staffords Downtown Petoskey Holiday Parade. Our quaint city has lots to do-from jet skiing and fishing in the summer to cross country skiing and ice skating in the winter. Explore downtown Petoskey on Mackinac Old Time Trolley. Play a round of golf at Bay Harbor Golf Club and Little Traverse Bay Golf Club. Take the kids on an aquatic adventure at Avalanche Bay Indoor Waterpark. Go horseback riding at Great American Adventures. There are several restaurants located nearby our hotel including Garfields Restaurant-Julienne Tomatoes and City Park Grill. 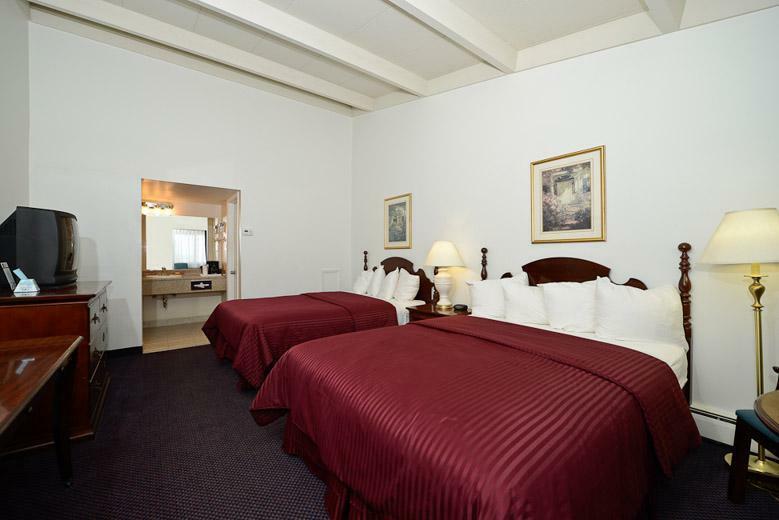 At Americas Best Value Inn Petoskey, We've Got You Covered from the time you hit the road until your head hits the pillow. Applebee's Neighborhood Grill, 0.9 mi. Bob Evans Restaurant, 0.9 mi. Buffalo Wild Wings, 1.2 mi. Jose's Authentic Mexican Restaurant, 1.4 mi. City Park Grill, 1.5 mi. Mitchell Street Pub and Cafe, 1.5 mi. Crooked Tree Arts Center, 1.5 mi. Coveyou Scenic Farm Market, 3 mi. Pirate's Cove Adventure Golf, 3.8 mi. Bay Harbor Equestrian Center, 4.5 mi. Bay Harbor Golf Club, 5.1 mi. Great American Adventures, 5.6 mi. Skydive Harbor Springs, 5.9 mi. Northern Lights Recreation, 6.5 mi. North Western State Trail, 7 mi. Little Traverse Bay Golf Club, 8.1 mi. Wycamp Lake Shooting Preserve, 10.2 mi. Little Traverse Wheel Way, 0.1 mi. Little Traverse History Museum, 1.4 mi. Mackinaw Trail Winery Inc., 1.5 mi. Petoskey State Park, 5.4 mi. Little Traverse Bay, 6.7 mi. Castle Farms Winery, 14 mi. Avalanche Bay Indoor Waterpark, 15.1 mi.